Is Inflammation Getting the Best of You? This is such an important and much-needed topic on inflammation. It’s a subject I discuss often on radio and TV talk shows worldwide. For the purposes of this Blog, I will answer some of the most-asked questions that I receive about inflammation, diet, and lifestyle. To listen to my audio broadcast, from which most of this Blog is transcribed, click HERE. 1. For those of us who don’t know much about inflammation, would you please give us an overview on this topic so we all have a better understanding? Most of us never give a second thought to inflammation unless we get a bee sting, experience a physical injury such as stubbing our bare toe on a piece of furniture or injuring our back. As soon as one of these events takes place, we experience an immediate sensation of pain that tells us something is definitely wrong. Redness, heat, and swelling usually follow almost immediately. And this immediate reaction is a result of inflammation. Unfortunately, the most devastating diseases known to humankind — cancer, heart disease, diabetes, asthma, Parkinson’s, Alzheimer’s, and the list goes on — are almost always preceded by months and years of very subtle, unnoticed inflammation, as reported in the recent article in the Wall Street Journal. Inflammation is good when an injury is experienced in that often the swelling and pain limit the range of motion, allowing the body to heal. However, when subtle inflammation continues for too long, it becomes destructive and may lead to manifestation of various diseases. Almost all diseases are preceded by and accompanied with inflammation. Throughout this Blog, I will explore what is involved with inflammation, its impact on the body, what we can do to reduce uncontrolled inflammation and its damaging effects on our health and how to preclude falling prey to nutritional flapdoodle. 2. So you are saying that even though we might not be able to see the process of inflammation, many of us could be at risk and don’t even know it. Right? That’s right. Inflammation is a “double edged sword” – both a helper and a villain. While inflammation is great when it serves as a warning signal as in the stubbed toe illustration, it becomes a villain when initiated by diet and lifestyle and subtly begins an uncontrolled destructive process in the body that goes unnoticed for decades until a disease of inflammation is manifested. We are facing an epidemic in inflammatory disease. It’s estimated that approximately half of all Americans suffer from an inflammatory disorder, and even more of us are at risk, and these statistics are reflected in most civilized countries. So you see, a silent plague is sweeping America and other countries as well, and the vast majority of us are at risk. Please continue on to learn more about inflammation and the best natural remedies. 3. Can you please get more specific about what happens in the body to cause inflammation and how our body’s own inherent healing system tries to heal this condition? All right. Here’s an Inflammation 101 explanation for you. Inflammation results when cells are sick, traumatized, chemically irritated, infected, etc. Sick zones always signal messages out to the immune system for its assistance. But it’s important to realize that inflammation can occur in a low-grade, barely noticeable way, especially in the brain. I bet you didn’t know that almost all vaccines could cause brain inflammation, which may last for as long as a year. Even stress and depression can cause a low-grade, unnoticed inflammation and signals are sent to the immune system for help. When immune cells or other immune components rush into sick or what we call the ‘hot’ zones, then free radicals are formed during the heat of battle. Free radicals can be released and always have the potential of cell and DNA damage, which can lead to disease. Now when this is left unchecked, these free radicals can damage a cell membrane or when created within a cell, damage the DNA itself. On a positive note, the body has a built in system for dealing with and preventing free radical damage when ALL cells are functioning optimally. 4. Can our diet and lifestyle make a difference in preventing cell and DNA damage as well as inflammation? You bet it can. Unfortunately however, today our lifestyle and the nutritionally deficient foods we consume do not support the body’s efforts in preventing free radical damage. Our cells are mal-nourished; toxins are not eliminated efficiently, or in a timely manner, and this results in cells becoming sicker by the day. For example, prolonged inflammation of a tissue caused by tobacco smoke, alcohol abuse, chemical exposure, exposure to EMR (electro magnetic radiation), improper diet, etc., produces a continuous onslaught of free radical damage that, left unchecked for years, often leads to various types of cancers. A recent study found that one central event is most closely associated with cancer development – chronic inflammation. In the study, researchers looked at a large number of cancer patients and found that almost 70 percent had pre-existing chronic inflammatory diseases for 10 to 17 years before they developed cancer. You see, as mentioned in the recent article in the Wall Street Journal, we know that people with chronic inflammatory diseases like lupus and rheumatoid arthritis, as well as those with inflammatory bowel disease (Crohn's and ulcerative colitis) and certain parasitic diseases, have substantially higher cancer rates than that of normal people. If we include diabetes (also an inflammatory disease), we see that a great number of people are at risk. 5. What specific things cause inflammation and how do you test for inflammation in the body? The key players that influence this process of inflammation are toxins, infections, injury, and heredity, and our diet has a major influence on all of these factors. From my research, I believe that our diet is a major, if not the most important, external factor behind the inflammation epidemic. A substance known as C-reactive protein, measured with a simple blood test, is an indicator. Besides the upcoming list of how to reduce inflammation, keep in mind that losing weight lowers C-reactive protein levels. 6. Cancer is the # 2 cause of death in America just behind heart disease. Please tell us more about the connection between inflammation and cancer. A wide variety of exposures have for years been thought to be carcinogenic. Those suffering with diseases such as diabetes, cardiovascular disease, depression, autoimmune and even diabetes generally have a higher risk of developing cancer. All of these conditions have one significant thing in common—they all cause inflammation and may, in fact, be caused by prolonged inflammation themselves. Thus the inflammatory process may be one vicious cycle that is out of control! Putting all of this info into a simple summary: External assaults on the body, as well as internal metabolic processes, create free radical damage. This, in turn, creates inflammation, which, if left unresolved, may lead to various chronic diseases, which cause the body to produce high levels of inflammatory chemicals that promote prolonged inflammation. Inflammatory diseases such as arthritis, autoimmune disease, diabetes, etc may develop. Researchers are finding there is often a general lag time of 15 to 17 years after the development of the inflammatory disease that cancer first appears. One study found that 65 percent of whites and 70 percent of blacks suffered from prolonged inflammatory disease before developing cancer. So, ongoing inflammation not only contributes to the development of many cancers; it also makes the cancers grow faster and spread more readily. Many processed foods are sources of often-unrecognized inflammatory agents found in food additives. It is imperative that you avoid processed foods as much as is reasonably possible; when choosing to consume foods that are processed, read the labels carefully so you can avoid consuming a host of chemicals and additives that may promote inflammation. A diet emphasizing plant-based foods is most ideal and is known to be anti-inflammatory. I write about this nutritional regime in my books Recipes for Health Bliss, Be Healthy~Stay Balanced and The Joy Factor. 7. 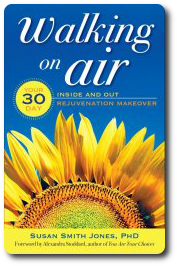 In your book Walking on Air: Your 30-Day Inside and Out Rejuvenation Makeover, and in your Botanical Reference Guide for Common Ailments that you offer FREE on your website, you mention some spices that heal the body. Are there any spices that are anti-inflammatory? Definitely, top on the list would be turmeric, garlic, and ginger. But you can also include such favorites such as basil, onion, fenugreek, cayenne pepper, juniper berries, and cinnamon. 8. What foods should we avoid and consume to say good-bye to inflammation? Are there any effective nutritional supplements that help reduce inflammation? An individual’s diet and lifestyle are fundamental in supporting the body’s efforts to reduce inflammation and maintain optimal health. The Standard American Diet (SAD) is fraught in foods such as trans-fats from partially hydrogenated oils, sugars and animal foods that promote inflammation. The SAD of today has about 50 times as much Omega-6 fats as the diet of our ancestors a century ago and is radically deficient in Omega-3 fats. Omega 6 in excess promotes inflammation while Omega-3 is anti-inflammatory. An antioxidant-rich diet with loads of plant-based foods, and with a high percentage of health-restoring raw foods should be your goal. Also, you want to emphasize vegetables and Omega-3-rich foods (such as flax seeds, chia seeds, walnuts, leafy greens, and, if you eat fish -- salmon), as these are anti-inflammatory and support optimal health at the cellular level. 9. 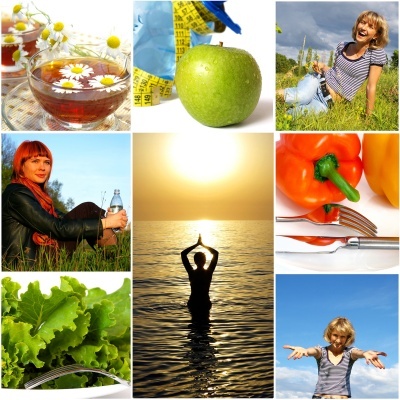 Overall, please summarize all of the positive things that people can do, starting today, to reduce inflammation. Eat a clean, natural diet with emphasis on plant-based foods and lots of fresh veggies and foods rich -n Omega-3 fatty acids. Keep your body detoxified with purified water. Shed any extra weight you may be carrying on your body. Add some anti-inflammatory spices into your diet like turmeric and ginger. Drink alkaline water, as I do, that’s described in detail HERE. Take respites of quiet time during the day and breathe deeply – helps lower stress. (Increasing oxygen lowers stress which lowers inflammation.) Meditate. Spend time at least weekly out in nature. Show by your actions daily that your health is a top priority for you.